A woman found seriously injured nearly two weeks ago, triggering an attempted murder investigation, is still fighting for her life. Police said the 25-year-old woman remained in hospital in a critical condition after being found with "extensive" injuries on Sunday, January 27. 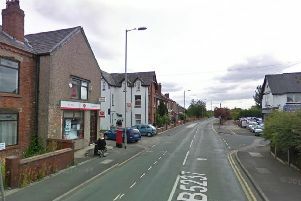 They were called at 12.05pm that day to reports a woman had been assaulted at her home on Ellesmere Street, Astley, and she was rushed to hospital. An investigation was immediately launched and a 25-year-old man was arrested on suspicion of attempted murder on Tuesday, January 29. He was bailed with conditions pending further enquiries. Police are continuing to look into what happened and are appealing for anyone with information to call them on 0161 856 7182, quoting incident 945 of January 27, or Crimestoppers, anonymously, on 0800 555 111.